What is Aggregate Stop Loss? Stop loss insurance, also referred to as excess insurance, is a product targeted towards self-insured employers. The policy option serves as a reimbursement mechanism for claims that prove to exceed the predetermined amounts. Stop loss insurance is available in two forms: specific and aggregate. Specific stop loss provides excess risk coverage that offers protection for employers who may face a high claim on an individual member. Aggregate stop loss provides employers with a ceiling on the dollar amount of any eligible expenses that the employer would ordinarily pay during a contract period, thus providing protection for the entire group’s population. The employer is typically reimbursed by the carrier at the end of the contract period for any aggregate claims. Learn more about aggregate stop loss and the best way to get it. How Does Aggregate Stop Loss Work? Aggregate stop loss insurance is often used by employers with self-funded insurance plans. With self-funded insurance, the employer assumes all financial risk when providing his or her employees with healthcare coverage. 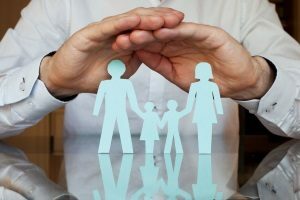 Under self-funded insurance, the employer must pay for each claim as it is provided instead of paying the insurance carrier a fixed premium for a fully-insured plan. With aggregate stop loss, the employer is still responsible for claims expenses under the deductible amount. What aggregate stop loss coverage does is protect the employer against higher than anticipated claims. If the total amount of paid claims exceeds the set plan amount, the insurance carrier must reimburse the employer for any overage charges. The cost of the plan is calculated based on a percentage of projected plan costs, which is usually around 125 percent of the anticipated claims for the year. What Does Aggregate Stop Loss Cover? Aggregate stop loss coverage is only liable for claims up to a certain attachment point. A plan’s attachment point is based on a corridor above the expected claims and determined by the insurance company through standard underwriting practices; be it available claims data or individual member questionnaires. Before the aggregate corridor can be added, the expected claims level must be determined. Benefits that are eligible under aggregate coverage may include any medical claims, prescription drug claims, and in some cases vision and dental claims. When year-end accounting is done the actual claims are compared to the aggregate attachment point. If there is found to be any amounts in excess of this aggregate attachment point, they are reimbursed by the reinsurer. For any single participant, individual stop loss coverage is only liable for claims up to a certain deductible. 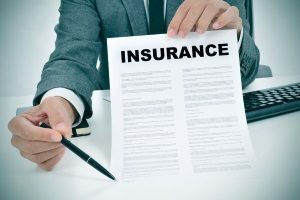 For employers with self-funded plans that set their own ISL level of deductible, the level should then be based on the plan’s unique risk tolerance. On average, individual stop loss levels typically range from $50,000 to $300,000 based on $25,000 increments. Aggregate stop loss coverage contracts can be written in a variety of ways depending on the insurer, as well as the time period of incurred or paid claims that need to be covered. What is Aggregate Stop Loss Terminology? 12/12 Contracts: These types of contract agreements require that claims be incurred and paid within the designated plan year. 12/15 Contracts: Under a 12/15 contract agreement all claims must be incurred within the plan year. These claims must then be paid during the plan year or during the three months following the end of that plan year. This allows for the “lag” that may occur with claims. 12/12 w/ TLO Contracts: These are the same as 12/12 contracts, but with the option to purchase additional run out coverage at a later date; referred to as terminal liability option. 15/12 Contracts: This type of contract agreement requires that claims be incurred within the three months prior to the end of the designated plan date. The claims must also be paid during the plan year. Deductible: A deductible is a limit determined by the insurance company. The limit shows when the insurance company becomes liable for paying certain medical bills. Disclosure: Before providing a final quote, an insurance carrier will require the disclosure of high risk individuals or known high claimants. Lasering: Through lasering insurance carriers are able to place an increased deductible on some people or may choose to exclude them from coverage altogether. When you choose to get aggregate stop loss, you may be eligible for a range of other optional features. This may include a variety of claim bases with run-in and run-out. This allows employers to choose a claims approach that best works for their self-funded policy. Another optional feature is terminal lability. This provides employers with extended coverage for an average of three extra months following the termination of the stop loss policy. With monthly aggregate accommodation, employers are able to receive monthly reimbursements during the policy year rather than waiting for one payment at the end of the year. As more and more employers begin to see the benefits of self-funded healthcare, the value of aggregate stop loss becomes more apparent. Stop loss insurance has been used for decades among health care sponsors who self-insure their medical and prescription drug coverage. This allows these individuals to avoid the hard financial impact caused by unexpected high “catastrophic” claims. Through aggregate stop loss, it is possible to achieve and maintain financial stability. Buying stop loss coverage can be a complex process. It is important to know exactly what your policy will cover before investing so that you can make a more informed decision while still meeting your objectives. To ensure that you get the coverage you need, speak with a benefits consultant. A benefits consultant can help you compare your options and match you with the best policy based on your needs.